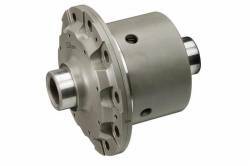 Description: TY421-HA OS Giken Limited Slip Differential for 13-16 Scion FR-S; 17-18 Toyota 86; 13-18 Subaru BRZ. The OS Super Lock LSD is the culmination of over four years of extensive research and development that led to a revolutionary LSD design. Description: TY371-HA OS Giken Limited Slip Differential for 05-10 Scion tC. The OS Super Lock LSD is the culmination of over four years of extensive research and development that led to a revolutionary LSD design. Description: TY372-HA OS Giken Limited Slip Differential for 11-16 Scion tC (tC2). The OS Super Lock LSD is the culmination of over four years of extensive research and development that led to a revolutionary LSD design. Description: TY371-HA OS Giken Limited Slip Differential for 08-15 Scion xB (xB2). The OS Super Lock LSD is the culmination of over four years of extensive research and development that led to a revolutionary LSD design.